Take a bowl. 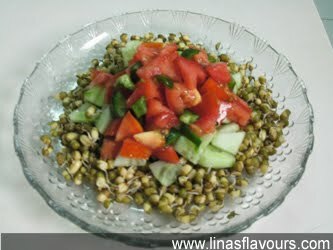 Add moong, cucumber, tomatoes, capsicum and mix it. Add lemon juice, chaat masala, black salt and mix it well. Serve it at room temperature or chilled.